A Hello Kitty themed party is suitable for any age and this handy party pack from Party bags & Supplies contains all your tableware along with pre filled party bags for up to eight children. My daughter, 8yr old Miss M is already well into the planning for her next birthday party and she wants it at home so this kit is perfect and she is very happy with the design. I’m really pleased with everything you get as all I need to add is food and activities but the tableware is all included. You get a tablecloth, 8 plates, 8 cups and a pack of serviettes which will be enough for one each at the party, and another one to wrap a piece of cake in. The party bags are pre filled which is brilliant, I don’t have to worry about them and I think they are really well suited to Miss M’s age group. They each contain a Hello Kitty notepad, a multicoloured pencil, Hello Kitty keyring, fluffy zipped purse with attached hair elastics and a really lovely charm bracelet. The bracelets are corded with a silver coloured charm and look really grown up, Miss M is really looking forward to handing them out to her friends. I think these Hello Kitty party packs are great and save you having to think about too much especially the party bags, just add a piece of cake in and they are aready to go! There are many themes available from the website as well as separate items, a great choice is available. If you want to try out some of the party ware from Party bags & Supplies then please enter my giveaway below to win £30 to spend with them. 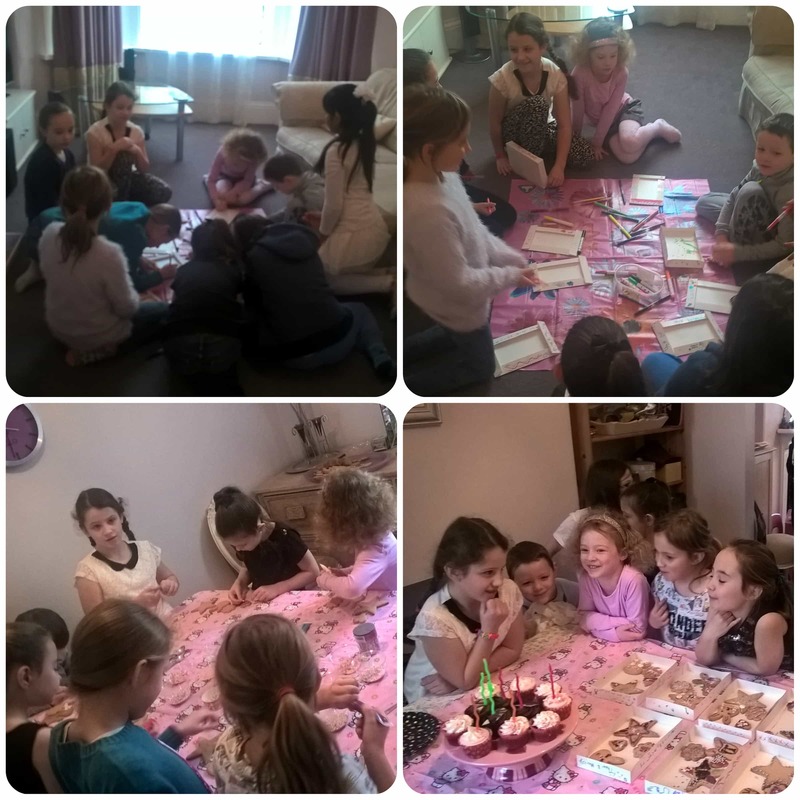 It’s been a hectic start to the year to say the least, with trying to sell a house and job worries making it most stressful, but I musn’t forget the amazing event that really started off the year and that was Miss M’s 8th birthday on the 1st January! What an amazing eight years it has been and she has done me very proud with both her efforts at school and at home. She has grown into a lovely, polite girl who loves to help others and is friendly to everyone. She wanted a birthday party at home, which was fine by me so we decided on biscuit decorating as the main activity. Miss M eagerly helped me the day before to mix the ingredients and cut out enough biscuits for all her friends to decorate the next day. I also bought some flat cardboard food trays which they decorated the outside of with coloured pens as the first activity of the party. 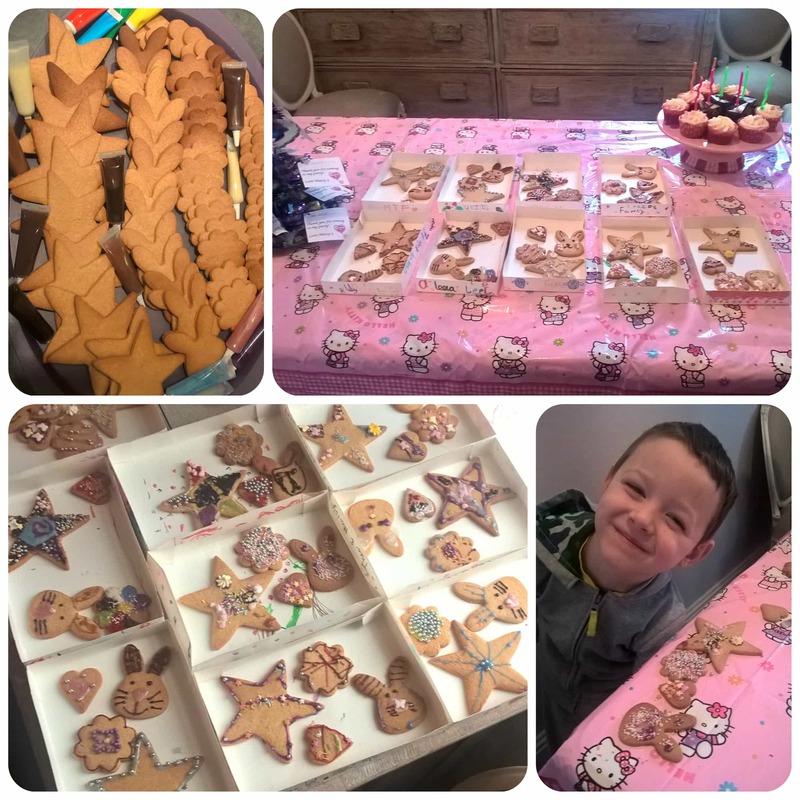 They then iced and decorated the biscuits with great enthusiasm, but I was particularly impressed with the results and they all ended up with a really lovely tray of biscuits to take home at the end of the party. Mister B did a great job of his biscuits too! 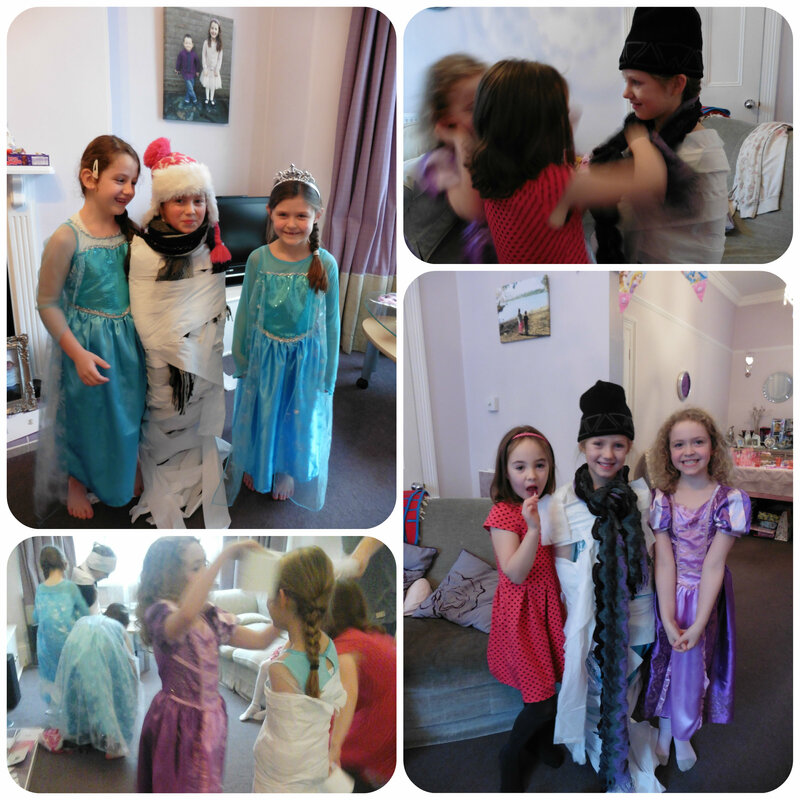 We then moved onto some other party games which Miss M had chosen and all the girls loved. 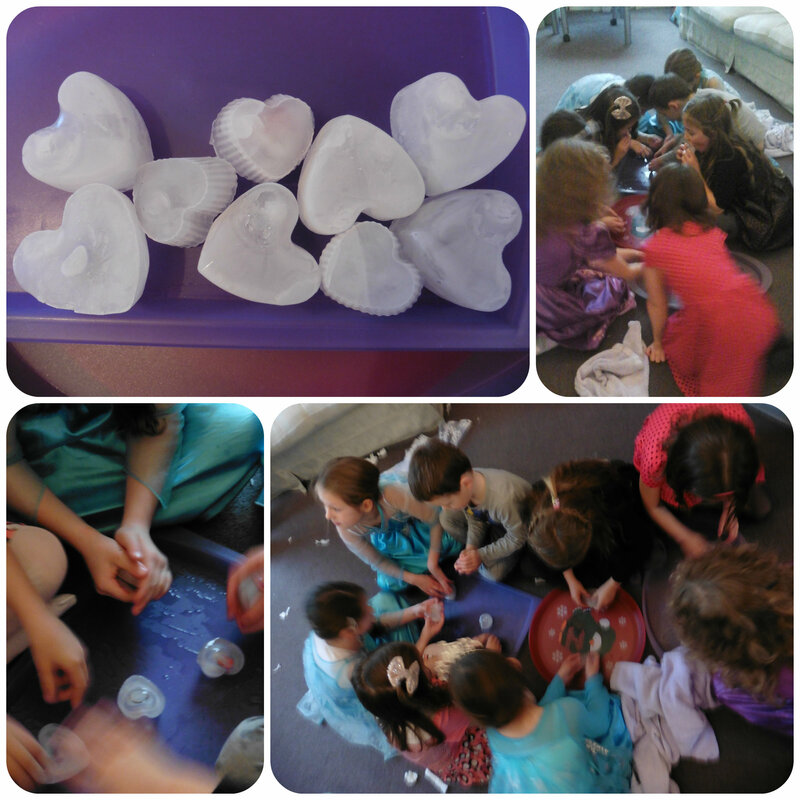 I had frozen some erasers in silicon cake cases so they were like blocks of ice and each girl had one to unfreeze using their hands and mouths – they absolutely loved it, I’d thoroughly recommend it. I just placed some trays on the floor for them to let the water drip onto and put some towels around for them to dry their hands on. 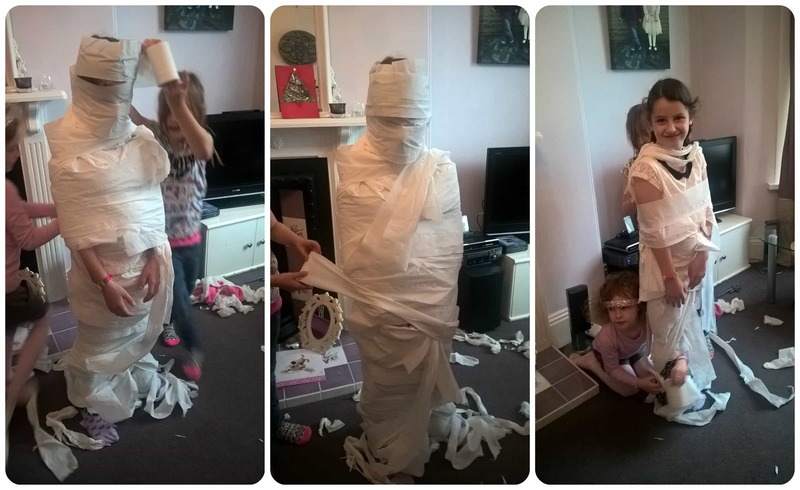 Next up was another favourite in which three partygoers, including the birthday girl became mummified in toilet paper!! They worked in three teams and it was great fun with minimal, easy mess to clean up afterwards. 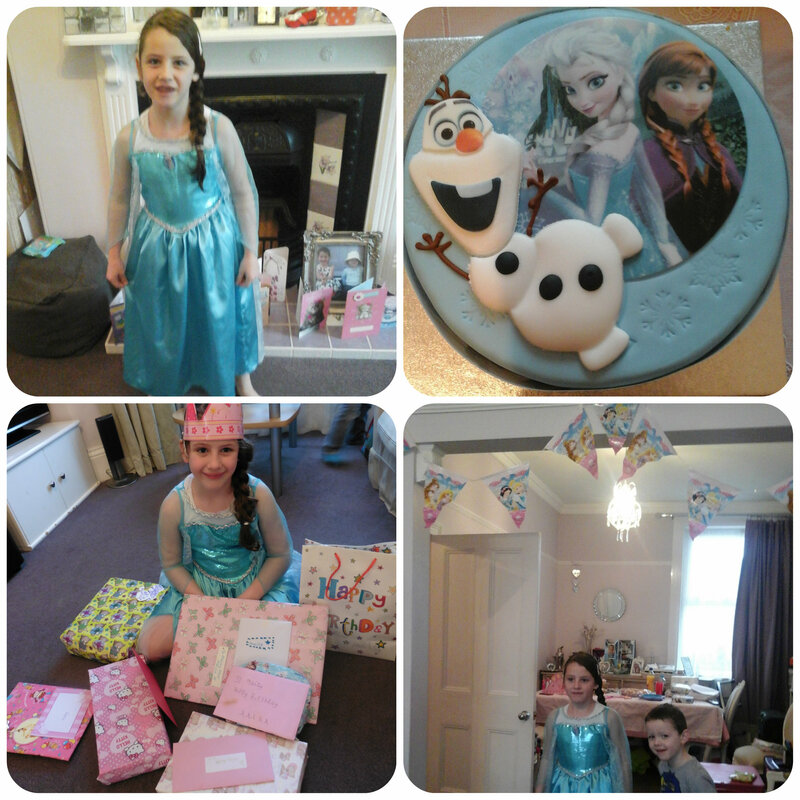 Miss M had a great birthday and it was a lovely start to the year. We have lots of change coming up this year, particularly with our new house which we can’t wait to share with you. There’s been a number of complications which we are working on but I forsee a year full of DIY ahead as well as a great family home where we hope to share lots of baking and gardening projects throughout the year as well as other fun times. Wishing you all a fantastic 2016! 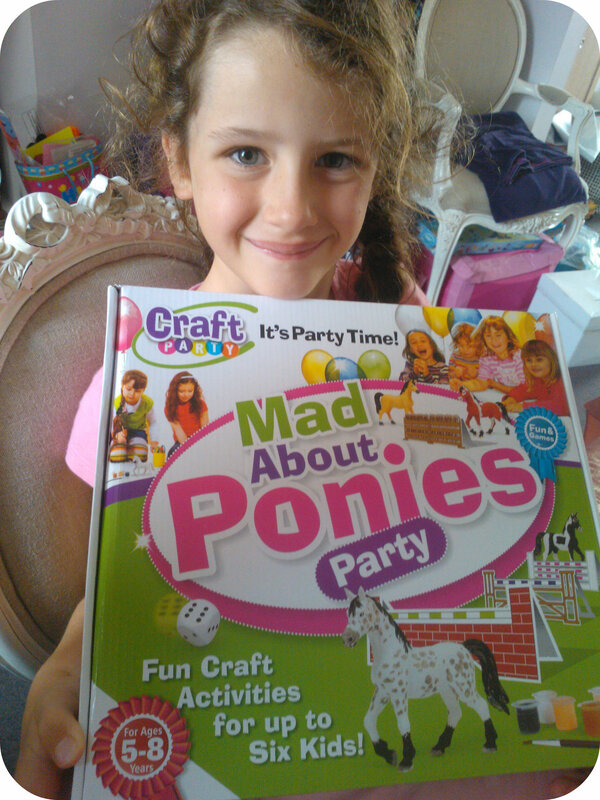 Mad About Ponies Party Box is a party kit in a box for up to six children full of activities and fun! Aimed at lasting for approximately one and half hours, it should keep a group of children occupied and entertained, whist having fun and games. All children seem to love horses and the sight of paint pots is always a winner. They couldn’t wait to get started and you can see my children below happily painting! I was really surprised at how much all the children loved getting artistic with their horses, really paying attention to detail with the colours. 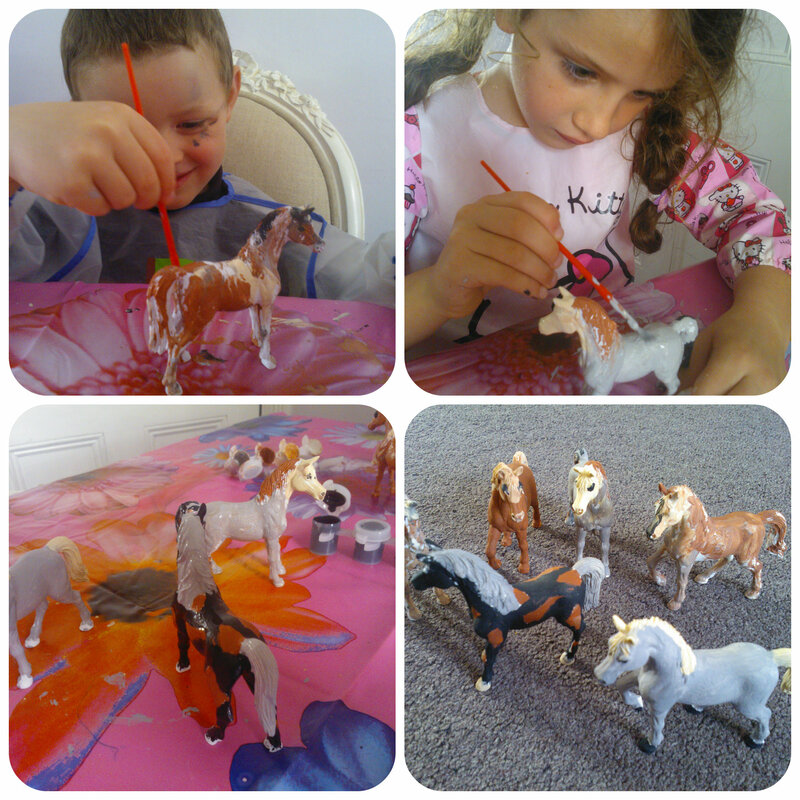 They were all totally engrossed in their painting and produced some wonderfully painted horses! We then had some food while the paint dried on the horses. 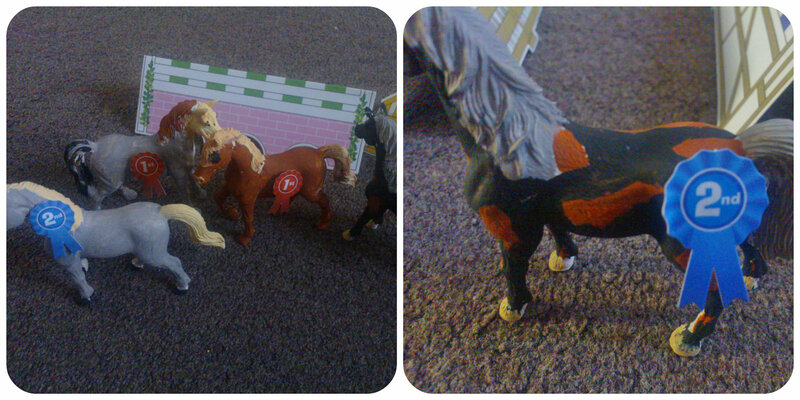 Also supplied in the Mad About Ponies set were some cardboard fences, rosettes, sticky pads and a large dice. We folded the fences in half and set them up in a star like shape as a course for the horses to jump around. Included in the party set are three game ideas along with six score cards and pencils. 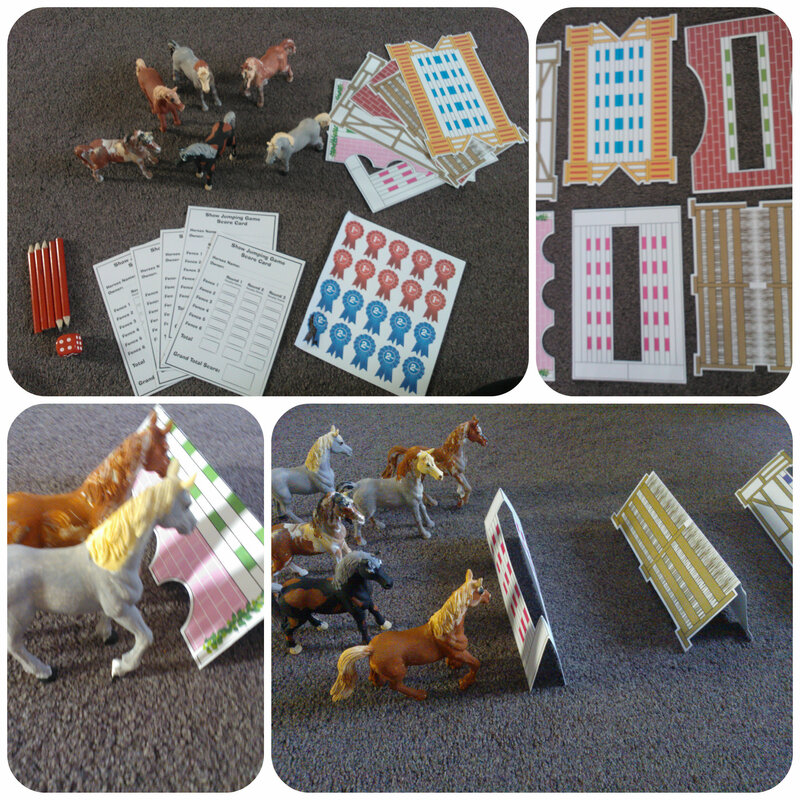 The children were eager to mark down the names of their horses along with the scores. We had lots of names such as Daisy, Patch and Spotty! The games were fun to play with the number you roll on the die determing whether you can jump a fence or not. 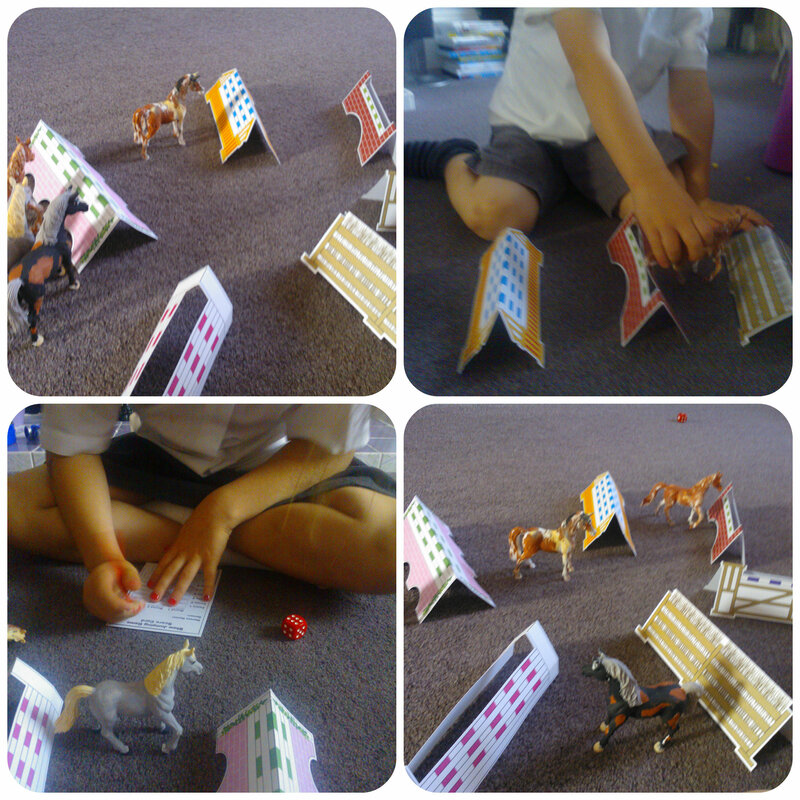 The children loved moving the horses around making cute noises and saying “giddy up”. I think a really nice finishing touch for the end of the games is the rosettes for first and second place. There are some little sticky squares included which can be stuck to the back of a rosette and then placed on the horses. The children really loved these and they added to the fun. 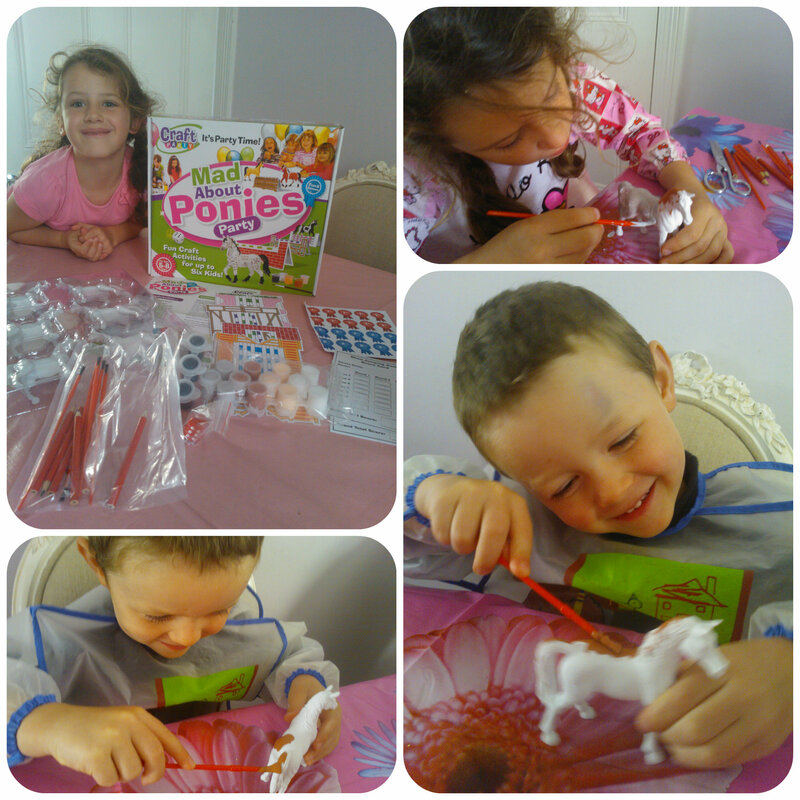 Mad about Ponies is a really great party in a box, it has everything from a fun painting activity to games suggestions to play with the horses and some little accessories with the fences and rosettes. I think all children would enjoy this and it’s nice that each child can take a horse home after that they designed themselves. All reviews are my own and my family’s opinions and we received the party set in order to write the review. Six years ago today, I spent New Year’s Eve in labour to give birth to the first baby born in 2008 at our local hospital. Having rushed to hospital at 11.30ish pm after finally realising the twinges I had been feeling all evening were contractions, I eventually gave birth to my amazing daughter Miss M just after 1am. 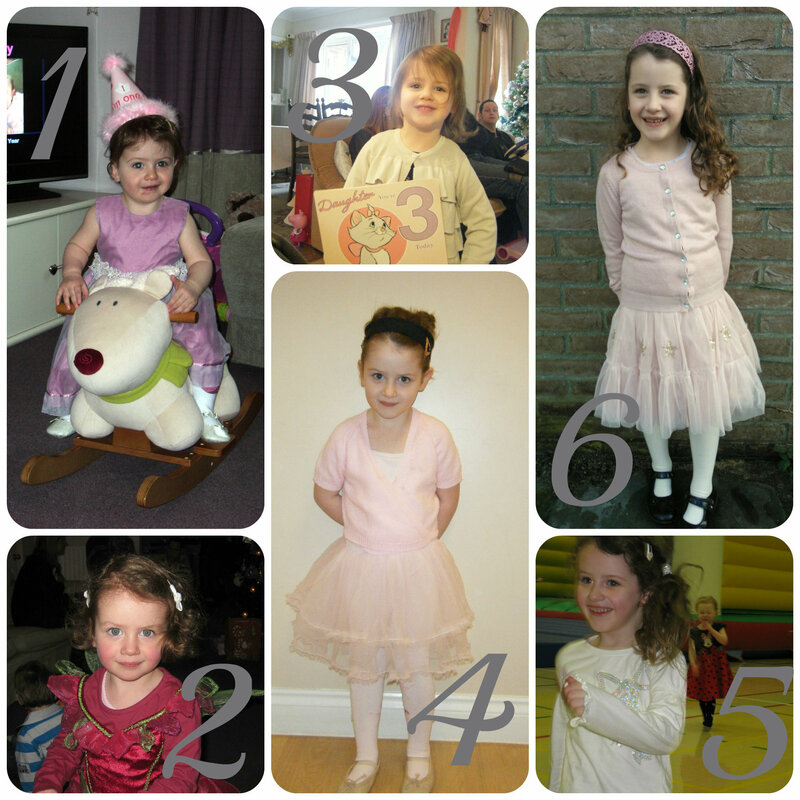 To see her progression over the last six years is amazing, rewarding and incredibily challenging at times but what a delightful daughter she has turned out to be. 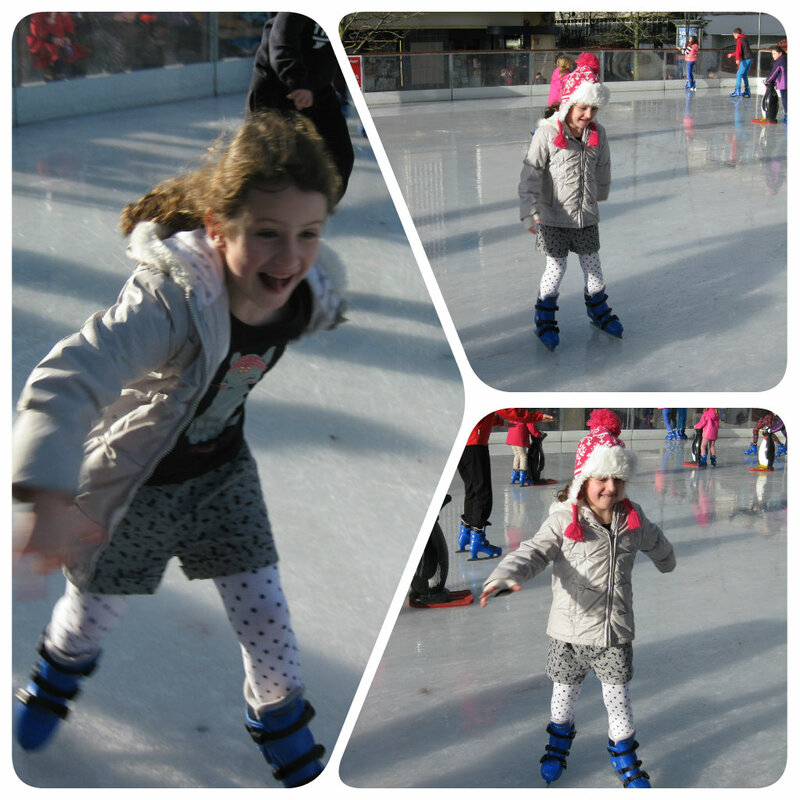 With a desire for ice skating we promised she could go a couple of days before her birthday, I have to say it wasn’t an experience I enjoyed with the water logged ice, and bunches of teenagers whizzing their way round in groups, but Miss M was at home on the ice gliding round without a care in the world! The next challenge was to make her a birthday cake. She had requested a princess cake and after much decision making over the last few months I decided to make her a doll cake. I had planned on purchasing a poundshop doll to use but due to the horrific weather and lack of time I hadn’t been out so used my circa 30 year old Barbie doll as the centerpiece!! 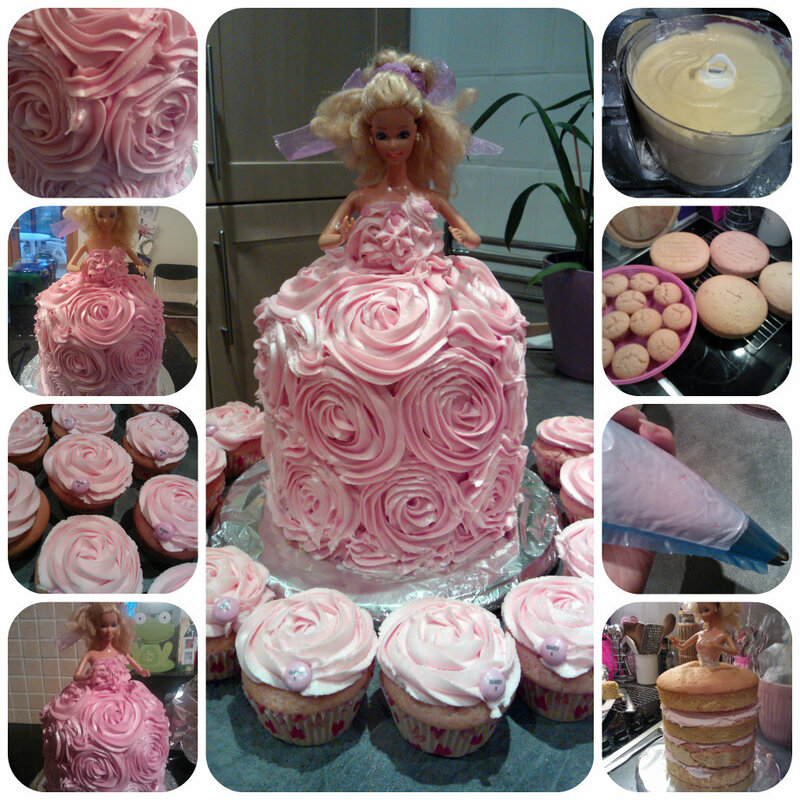 Wrapping her in clingfilm and making sponges using 10 eggs, 500g each of sugar, flour and butter I finally created 4 round sponge cakes and 12 cupcakes. I covered them in pink buttercream using my favourite nozzle to create rose like swirls and then sprayed the cake in with a silver spray to give it a fabulous glimmer in the light. The cupcakes were used to hand out in party bags at Miss M’s party on New Year’s Eve and the main cake to be kept until New Year’s Day, Miss M’s official Birthday!! 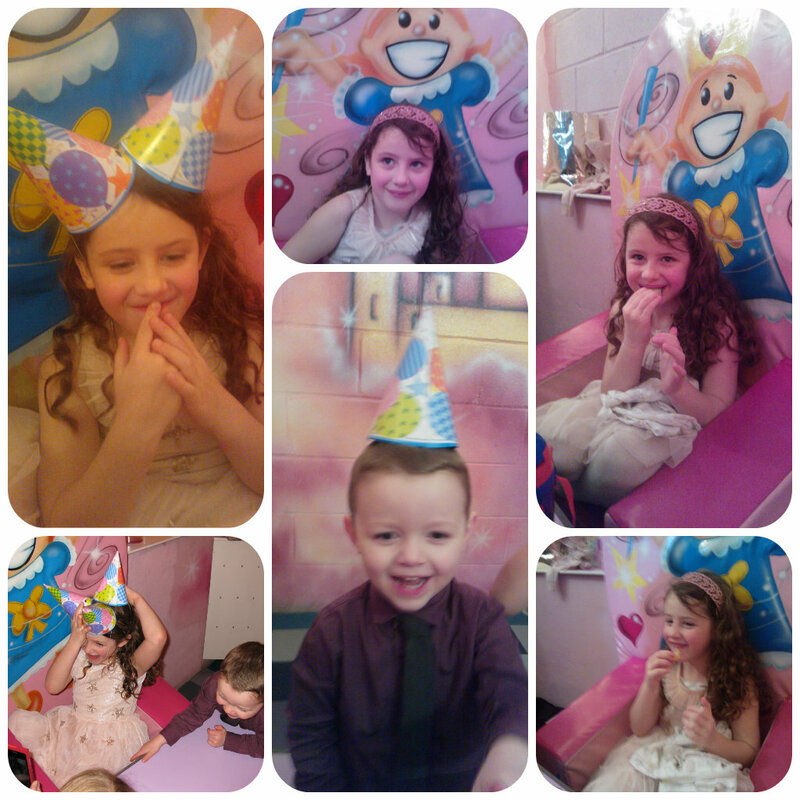 The lunchtime of New Year’s Eve was Miss M’s birthday party at a local soft play centre, the first time I haven’t had any direct involvement in the party and although it wasn’t my ideal venue, it was the easiest party I’ve ever held and it was Miss M’s choice of venue so she was happy. It felt so good to walk away at the end and not have to clear up but have a happy little girl who had the party of her choice! Had you not noticed above, I just have to point out that Miss M is in a dress, and not just any old dress, a NEXT party dress. Something that I never thought I would see, but something that she voluntarily chose and I bought, and she did not disappoint by wearing it on the day! 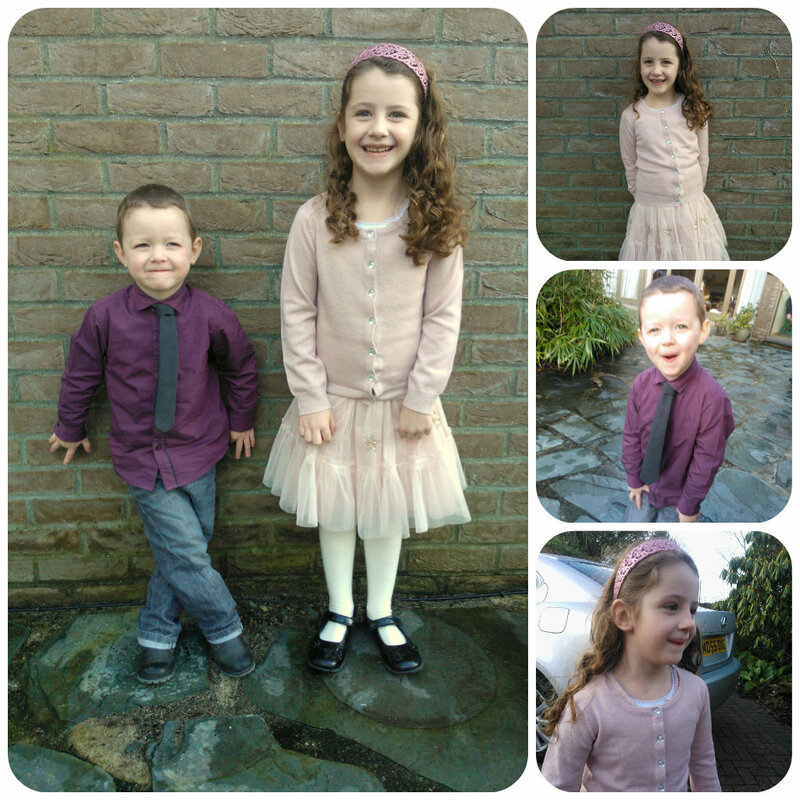 It was so lovely to see both my children dressed up, Mister B loves his tie and would wear it every day if he could but seeing Miss M in a dress is so nice, she’d normally rather be in shorts and tights! 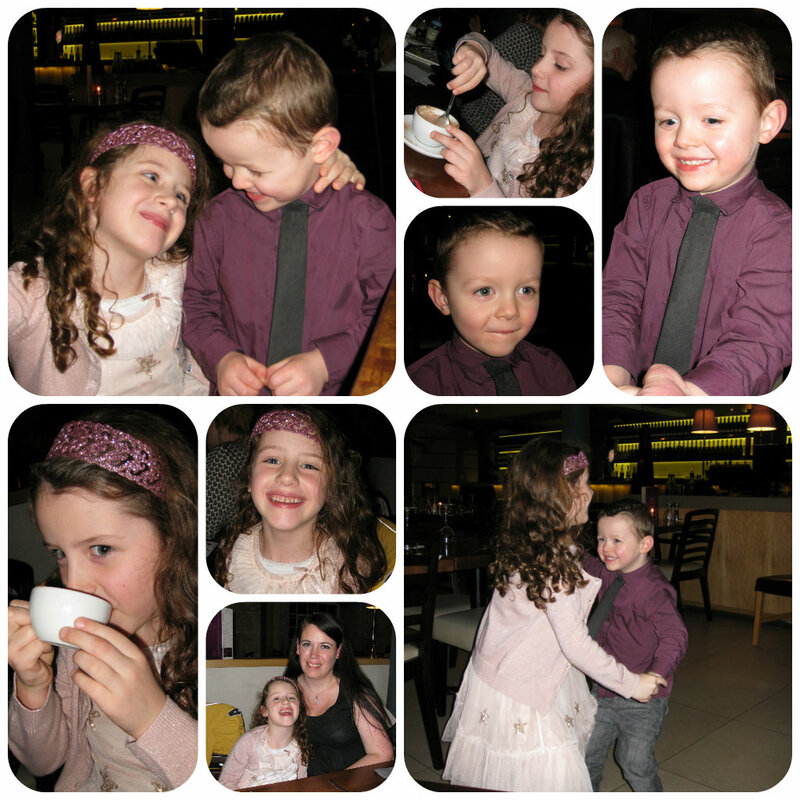 For New Year’s Eve evening we went for dinner at Prezzo, a restaurant I like as it is perfect for children with it’s loud atmosphere and a menu they love especially with the bambinocino to finish the meal! It also emptied out on a few tables behind us as we ate early, and Miss M and Mister B took to the floor to do a bit of Strictly Come Dancing which was really cute. It was back to Nan and Grandad’s house for some Wii games with Mister B and Cousin L before taking a huge bubble jacuzzi bath then going to bed for the official birthday wake up! 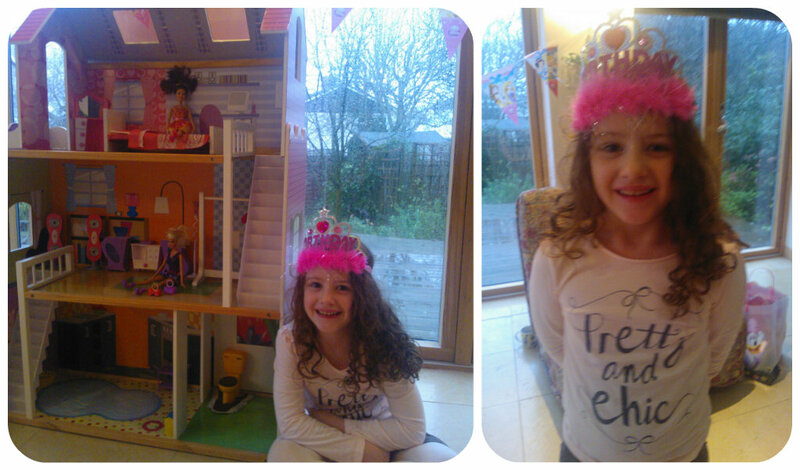 On New Year’s Day Miss M was thrilled to received a dolls house tall enough to fit her Barbie dolls and my Sindy dolls that she plays with. 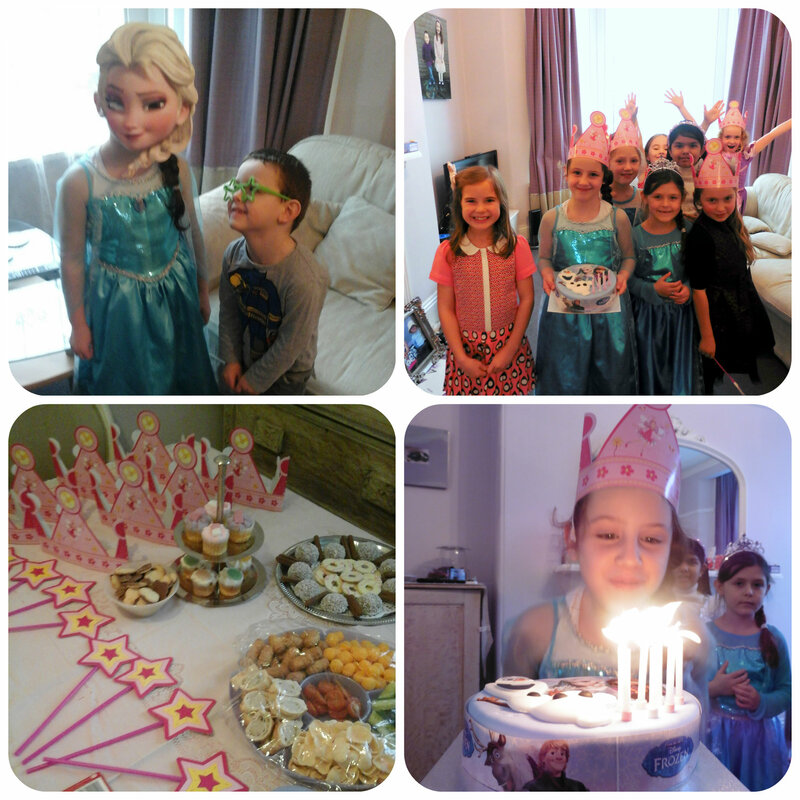 All in all a lovely day enjoyed by all the family and a six year old daughter, Miss M! !